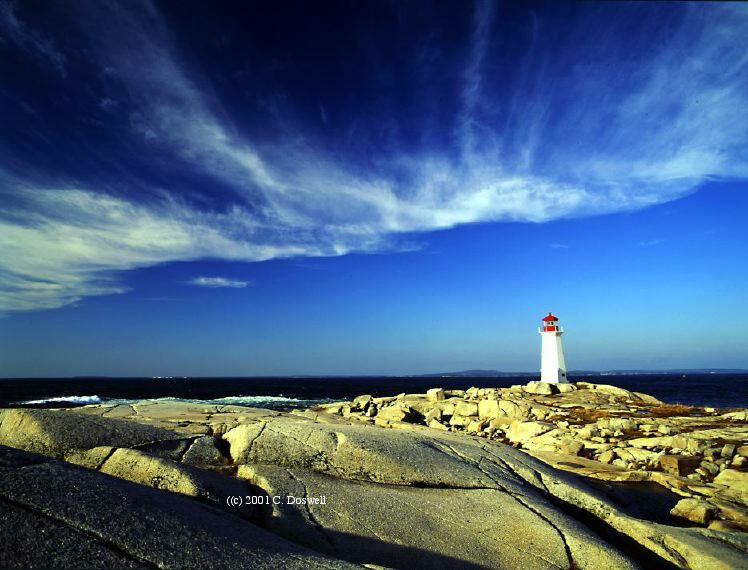 Nova Scotia is a province in Canada and Halifax is its capital city with just under 400,000 people. The province is a peninsula off the east coast on the Atlantic. Some of the main economic generators are the Canadian Navy and tourism. Many people who visit this city arrive on cruise ships (100+ a year) and they often have only a 24-hour time period to see it. For that reason I have decided to put together this list of things to do in Halifax in 24-hours. 1. Start the day in a “Titanic” way – literally. When the Titanic sunk on April 15, 1912, one of the first boats to arrive on scene was from Halifax. This boat (the MacKay-Bennett) picked up roughly 300 bodies from the wreckage including that of the famous millionaire Jack Astor. Once the bodies were brought to Halifax, the few families that could afford it, had their loved ones shipped back overseas, including Jack Astor, however many could not. Due to this, Halifax has three different cemeteries where passengers of the Titanic are now buried, a great thing to see and visit in Halifax. There is even one tombstone which reads J. Dawson and it is believed that is where James Cameron got the inspiration for the name of the main character in his film “Titanic” played by Leonardo DiCaprio. Halifax is commonly known as little San Francisco because of its many hills. 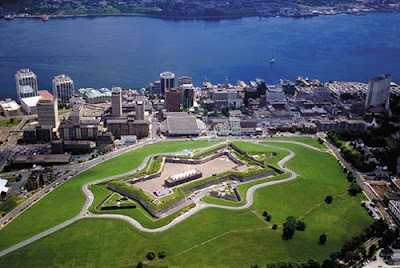 Citadel Hill is an old fort in the middle of the city, sitting on the highest point. The fort was built in this location because of its great view of the whole harbour, specifically the mouth, so deffenders could look out for incoming attacks, however it was never actually attacked. The fort has now been turned into a museum where you can experience the 1800’s in Halifax. Also, every day since 1856 (except for Christmas day) at exactly noon they fire a cannon signalling the changing of the guard. At this point you are probably feeling pretty hungry, so it is a great idea to head back down to the waterfront and grab some famous fish and chips or fresh lobster with a delicious thirst quenching Alexander Keith’s beer. Halifax has the longest wooden waterfront boardwalk with restaurants along the way and great views of passing ships. 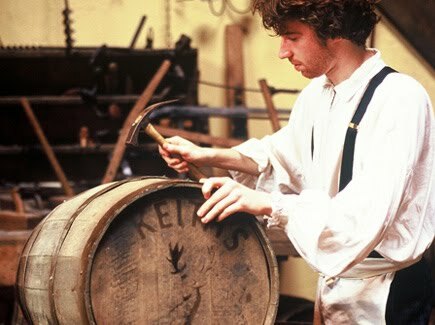 Head over to Alexander Keith’s Brewery, where you can go on a tour. The tour takes you back in time to the 1800’s. You are leadthrough by different characters from that era who worked in the brewery. The tour finishes off with a great sing-a-long and a stein of the freshly brewed good stuff. There is no better way to enjoy this harbour city than a boat ride. 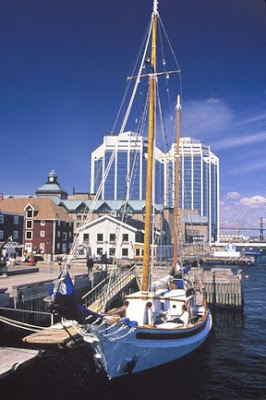 Halifax has the second largest natural harbour in the world. There are many boat tours to choose from, be it a sail boat, paddle boat or even an amphibious vehicle. Along the waterfront you will also find companies that have dinner cruises, booze cruises, whale watching and even deep sea fishing. You are bound to be hungry again, so time to head a few blocks in from the water to enjoy one of the many fine restaurants. From Greek to Chinese, Italian to Indian you are sure to find something you like. Food is reasonably priced, however if you feel like something fancy there are higher end restaurants as well. You can look forward to spending as little as $2 for some street meat or as much as $52 for a steak. Halifax is a College town with four universities. It also has the largest number of bars and pubs per capita in Canada, if not in all of North America. If you are not wiped out from your long day, hit one or two of the bars and dance the night away. A few places even stay open until 3:30 A.M.
2. A 45-minute drive out of the city is the popular Peggy’s Cove, a quaint little fishing village with the most photographed lighthouse in the world. It is also possible to go there from the city by boat for a full day tour of the area. 3. On Saturday afternoons the oldest pub in the city “The Split Crow” has a happy hour from 3-4 P.M. where you can get three beers for $5 (this also happens Wednesday and Thursday nights from 9-10P.M.). Halifax has tons of historical, fun, and tasty things to keep you busy and is definitely worth a visit. ** This is an article written for my first Assignment in my Matador U Travel Writing program. This is my second publishing of this article as I got some comments on it, took them into consideration and edited it a bit further. I have to say after reading this Nova Scotia is a lot more than cold weather! Thanks for pointing out the highlights for the soon to be first timers. Great tips Cailin, will be sure to use it when I'm there! AGISE Tour and Travels Pvt. Ltd is a well experienced travel industry in India and offers various tour packages in different parts of India like kerala tour packages, tour packages to south India, goa tour packages. AGISE Tour and Travels Pvt. Ltd is a well experienced travel industry in India and offers various tour packages in different parts of India like kerala tour packages, tour packages to south India , goa tour packages. Exercise and eating right are the best ways to lose weight. But many people have tried those methods for years and still can't lose excess weight — weight that can cause serious health problems. For people in this frustrating situation, weight loss surgery (koshy george Bariatric Surgery) may be an option. The articles in this website will help you better understand the procedures, determine if you're a good candidate, gain insight on costs, and learn from patients who've had weight loss surgery. Goa Holiday Packages - Goa is the known as the pear of India. Goa is famous for its beaches, turquoise warm waters, exotic wildlife, regal heritage, cultural magnificence and spicy mouthwatering delicacies etc. My Goa Holidays offer Goa holidays, Goa holiday packages at cheap rates. For more visit Goa Holidays. Thanks for posting information. Goa is visited by large numbers of international and domestic tourists each year. Book Your Goa Tour Packages Now. Traveling well is not necessarily synonymous with traveling frequently. Find out how to minimise the stress and maximise the enjoyment of your travel experience with the 10 Commandments of Wise Travel. Goa Holiday packages- Goa is a famous tour and travel destination in India. If you are looking for beach holidays, honeymoon or vacations then Goa the perfect destination for you. There are lots of beaches, wild sanctuaries, Churches and night clubs in Goa the crate a unique image in their in a less time span.